Sophomore guard Nikki Arbanas started all 32 games last season. Arbanas scored 8.4 points per game and shot 36.4 percent from behind the 3-point line in 2014-15. Coming off an appearance in the NIT last season, the Youngstown State University women’s basketball team is ready to open the season against Canisius College at the Beeghly Center. Canisius has a 5-2 record against the Penguins. 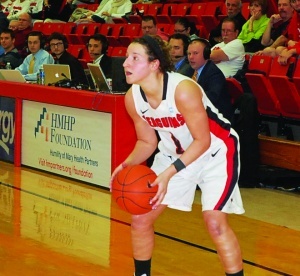 YSU snapped a five-game losing streak against the Golden Griffins after last season’s 80-48 win in Buffalo, New York. YSU will try to overcome the loss of Heidi Schlegel, the leading scorer, after her graduation following last season. Barnes said the team would need to find out how many players will be able to consistently contribute on the offensive end. Barnes had one of the best recruiting classes in recent years this past offseason. 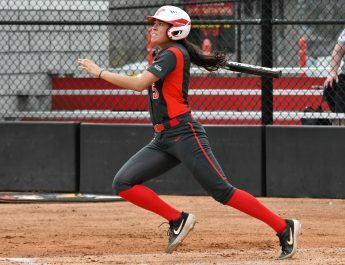 Barnes said playing time for the younger members of the team would depend on situations and their play during the first several games of the season before Horizon League play. The Penguins made a name for themselves on the defensive side of the ball last season. Barnes said the team played well on defense during YSU’s scrimmage against Marshall University. The game against Canisius is schedule to tip off at 7:00 p.m. on Friday.